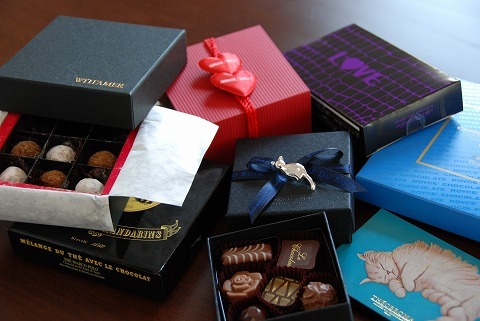 With Valentine's Day coming up, you might want to start looking for a restaurant to surprise that someone special. 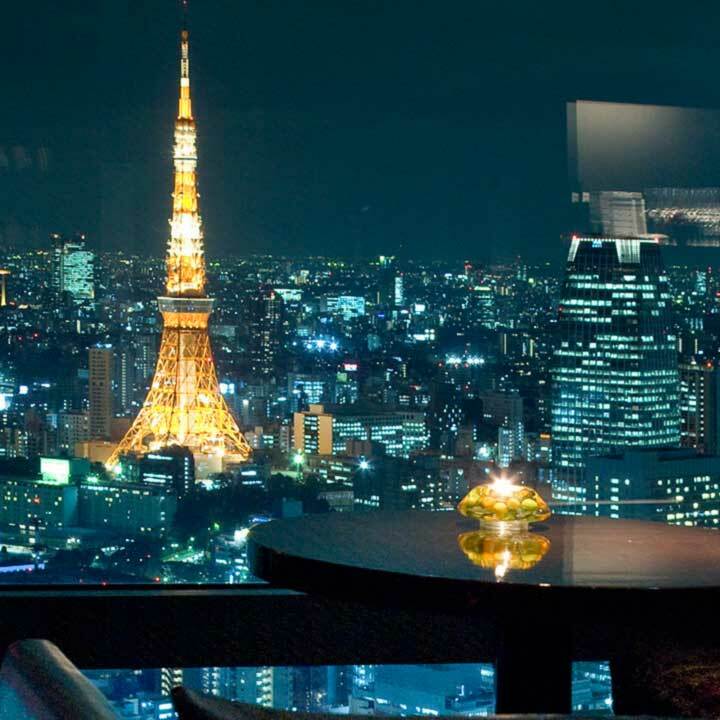 Below is a list of restaurants in Tokyo that have great views and delicious food. Most of these restaurants have a dress code, so be prepared to dress to impress. Joel Robuchon has been awarded the most "Michelin Guide" stars in the world. 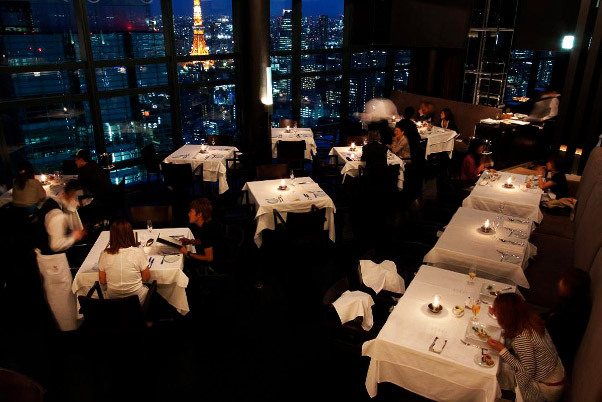 They've received 26 stars in total in the 2011 Michelin Guide, and this restaurant in Ebisu has been awarded 3 stars. 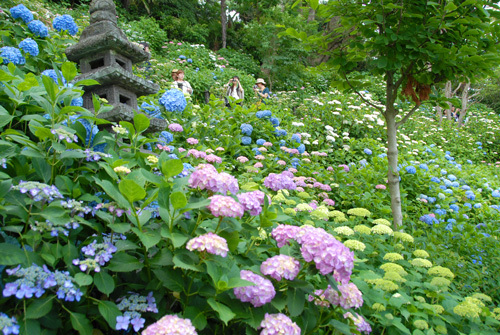 The restaurant is situated in Yebisu Garden Place, a 3 min. walk from JR Ebisu station. 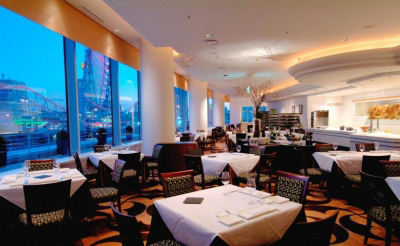 Fish Bank TOKYO is situated on the 41st floor of the Shiodome City Center building, a quick walk from Shiodome station, and has a spectacular view of Tokyo Tower. They serve modern seafood cuisine arranged using French, Italian, and Mediterranean culinary techniques. Enjoy the view of Hamarikyu Garden and Tokyo bay through floor-to-ceiling windows, while enjoying award winning Chinese cuisine. They also have an 8 meter wine cellar from which you can pick the wine of your choice to go with your meal. Try their award winning cuisine and wine list. Situated on the 28th floor of the Marunouchi Tower, you can look down on the recently rennovated Tokyo Station which is lit up at night. 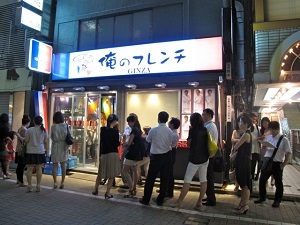 This restaurant in the middle of Tokyo, slowly rotates 360 degrees, taking 80 min. to do so. 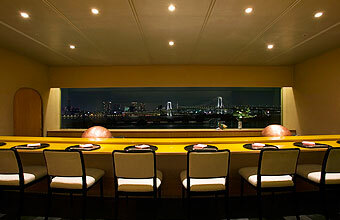 So, you can enjoy a panorama view of Tokyo while eating dinner at a window-side table. They also have a Valentine's Day special dinner plan, which you may want to check out. This hotel is on the waterfront in Odaiba and there's an amazing view of the Rainbow Bridge and Tokyo Tower. The chef will personally cook and arrange your tempura dish right before your eyes. This is a restaurant that specializes in "authentic Thai cuisine" but also is "stylish and modern". They have branches all over the world including Bangkok, London, Dubai, and Macao. 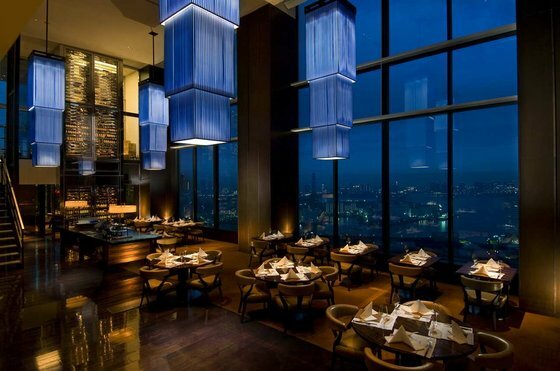 Mango Tree Tokyo is located on the 35th floor of the Marunouchi Building right in front of Tokyo Station. 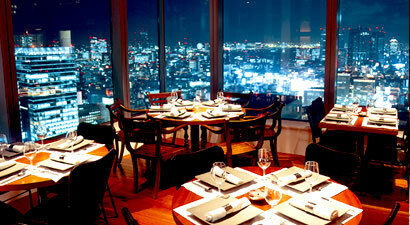 MADO lounge is situated on the 52nd floor of the Roppongi Hills Mori Tower. 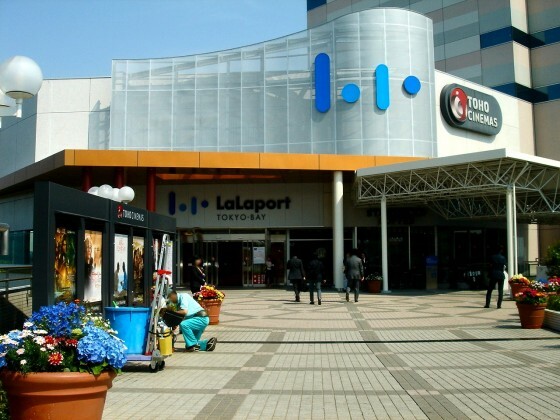 It's on the same floor as the observatory (Tokyo City View), so you can just imagine the view. You can enjoy authentic Italian cuisine in a luxurious restaurant with a panoramic view including both Tokyo Tower and the Sky Tree. 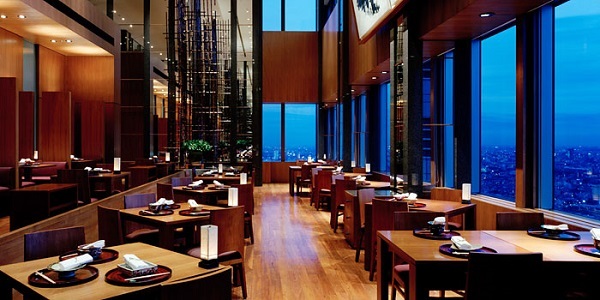 Kozue is a contemporary Japanese restaurant on the 40th floor of the Park Hyatt Tokyo Hotel in Shinjuku. You can look over the city and also see Mt. Fuji on a clear day. 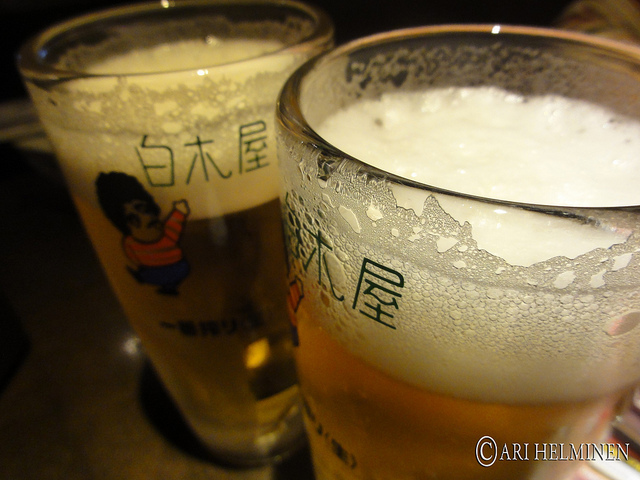 They have an extensive Japanese sake list, so you can enjoy different kinds of sake with your meal. An Italian grill restaurant with an expansive view of Yokohama harbor. The chef chooses "locally-grown" fresh ingredients which are then grilled, sauteed, or roasted.